It is always a good idea to ride a mountain bike every day to work or school. In facts, riding mountain bike every day is a great exercise which helps to improve the condition of your health. 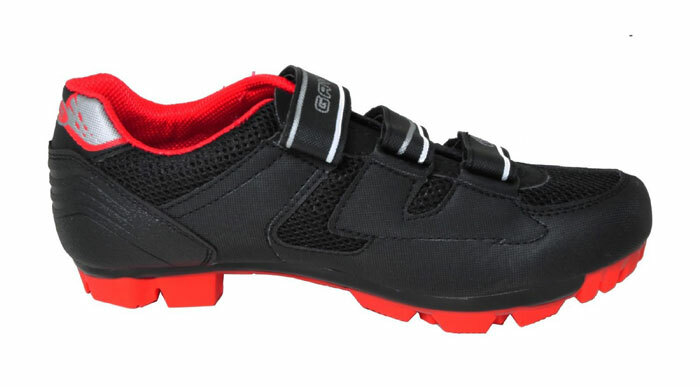 Moreover, it really looks cool if you own a nice and sturdy mountain bike. However, for a high price tag, for the many people, it is really difficult to afford a good mountain bike for above mentioned casual purposes. But thanks to the bike manufacturers, for the competitive bike market they have started to produce some best mountain bike with a very low price. Today we are going to introduce you one of this great but low priced mountain bike! And today’s bike is from Schwinn. 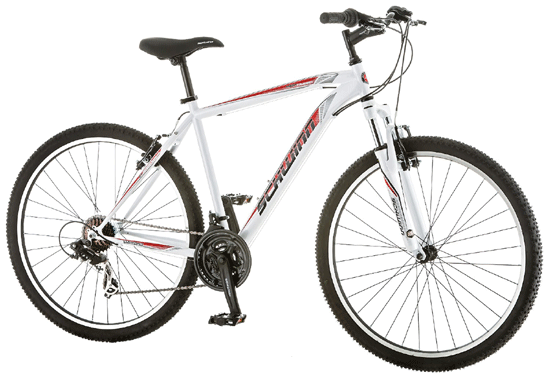 Schwinn’s 18 inch Men’s high timber mountain bike offers some great features to its customers. The awesome sturdy designed and white colored Schwinn’s mountain bike makes the owner looks cool and fashionable. Though the steel frame makes the bike little heavier but it also makes the bike strong and durable. 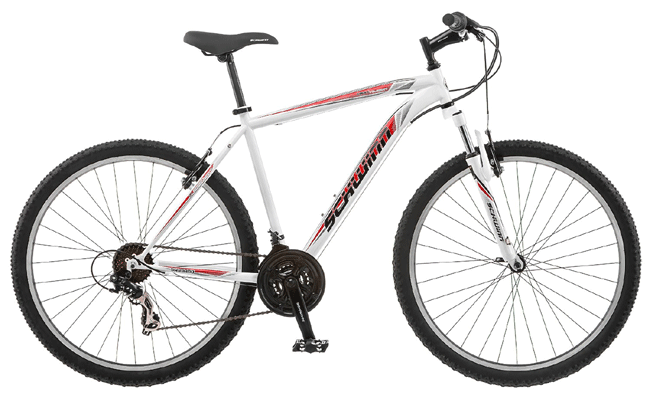 Best mountain bike needs quality suspension fork and this Schwinn’s 18 inch Men’s high timber mountain bike comes with high-quality front SR Suntour suspension fork. Whether it is on road or off road, this front SR the Suntour suspension fork absorbs all the shocks and gives you the smooth ride in the bumpy road very well. This bike is suitable for all casual purposes as Schwinn made it hardtail type. The size of the wheels of the best mountain bike is also contributed in a great way to its benefits. This mountain bike comes with traditional 27.5 wheels which make the bike lighter and easy to accelerate. Because of this wheel size, this bike is perfect for the casual purpose. As the wheels are little smaller it is difficult to overcome the big obstacle. There are two sides of a coin. The Schwinn’s 18 inch Men’s high timber mountain bike is affordable but it also has some limitation. The first problem is the number of the speed of this mountain bike. It only offers 21-speed which is little less compared to some best mountain bike. This 21-speed is okay for the beginners but for the advanced rider, it is low. So if you are an advanced rider then you may not be able to enjoy the ride to the fullest. Another problem with this bike is that it comes with a linear pull brake. Nowadays not an only best mountain bike but also cheap bike comes with disk brake. Linear pull brake is not that reliable compared to the disk brake. Experiment on the different brake shows that the performance of disk brake is better than the linear pull brake. However, because of this price point and as this bike is for casual use, all these bike problems are forgivable. What are the others Top Schwinn Mountain bikes List? Another great advantage of this quality mountain bike is that it can quick release the saddle, according to each peoples height it can be easily be adjusted. This is one of the most important features of this bike, which makes it suitable for everyone. Most of the bikes are not assembled when shipped, so you need to assemble it by yourself or you need to take it to a professional to do assemble for you. But the problem is most of the people don’t know how to assemble a bike. If you are also in this list then good news for you! Schwinn’s 18 inch Men’s high timber best mountain bike is almost assembled after shipping and rest of the things you can easily install by yourself by reading the manual. The biggest benefit of this mountain bike is its price. It is the best mountain bike in its segment and it cost only about $200. So what are you waiting for! Go and get one. Does this bike come with assembled? This bike is not assembled. So you need to assemble it. Good news is that you can assemble it by yourself with the help of instruction manual and it will take around 15-20 minutes. Like any other best mountain bike it can handle up to 300 pounds. Are the stickers or pinstripes of the bike removable? It is not the sticker; it is painted in the frame. So it is not removable. From the Schwinn high timber review, I can tell that a high-quality component has been offered by Schwinn with a very low price tag and it is one of the quality mountain bikes on the market in its segment which will surely bring adventure lover in you. READ How To Dress For Cycling- So Simple Even Kids Can Do It! To get most out of it and for the better experience you may need to replace and adjust some component when you receive this bike. 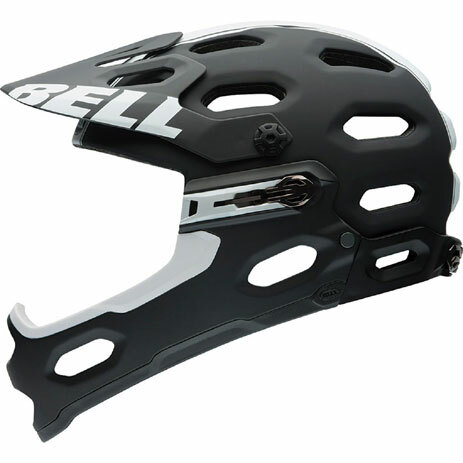 However, it does not change the fact that it is a good quality and reliable mountain bike and it will provide great service. Greetings there, just became conscious of your blog site through Search engine, and realized that it is seriously helpful. I’ll be grateful for should you decide keep up this idea. Thank you, I’ve just been searching for information approximately this topic for a long time and yours is the best I have found out till now. But, what about the bottom line? Are you sure in regards to the source? Very good written post. It will be supportive to anybody who utilizes it, as well as myself. Keep doing what you are doing – i will definitely read more posts. It is truly a great and helpful piece of info. I am satisfied that you simply shared this useful info with us. Please keep us up to date like this. Thank you for sharing. excellent points altogether, you just gained a new reader. What would you suggest about your submit that you simply made a few days in the past? Any positive? You could definitely see your enthusiasm within the paintings you write. The arena hopes for even more passionate writers like you who aren’t afraid to mention how they believe. Always follow your heart. Thank you a lot for giving everyone remarkably nice possiblity to read articles and blog posts from this web site. It is often very beneficial and as well , jam-packed with a lot of fun for me personally and my office friends to search your web site at a minimum 3 times in a week to read the newest issues you will have. And of course, I’m just always satisfied concerning the eye-popping advice you serve. Selected 2 areas in this post are unquestionably the simplest I’ve ever had. I’m still learning from you, but I’m trying to reach my goals. I certainly love reading everything that is posted on your site.Keep the posts coming. I loved it!